When you think of tyres, they aren’t really that much fun. Especially when it comes to buying new ones. CEAT wanted to change that. Their goal was to create an engaging customer experience and educating buyers to make an informed decision. CEAT shoppes exclusively sell the brand’s merchandise and cater to personal vehicle owners. These stores were designed to provide information and help customers make an informed decision while purchasing tyres. The shop windows were designed to showcase the types of tyres in the terrains they are suitable for. Types and benefits of tyres were tabulated on a wall inside, with highlighted features and suitability according to usage. They were profiled according to core needs, helping shoppers make informed decisions. We also designed a computer based application, a tyre selector programme, to declutter the selection process. Cricket and CEAT have a long-standing association which we wanted to incorporate within the retail outlets. Cricket ratings and related imagery were installed in the stores, creating a connection with customers. A highlight of the shoppe was the transparency between the service centre and the store, wherein the customer could view the equipment and his car as it was being serviced. Multi-brand outlets were a different ball game, with the challenge of creating a brand presence in a cluttered environment. We designed brand kits consisting of a variety of elements to be put on display. These were created to stand out amongst a multitude of brands while helping customers in the tyre selection process. Truck drivers and owners form a large part of CEAT’s customer base. Their requirements and purchase habits varied greatly. These were to be addressed with CEAT’s new Truck-Tyre Service Centres. Fleet owners proved to be conscious of spending since tyre replacement was a huge expense. Drivers were concerned about the after-life of the tyre and the load it would take. Each centre was a huge shed, with drive-in space for multiple trucks. They consisted of relatable, easy to understand communication about offerings. Programmes were made available to drivers about enhancing tyre performance. A Quick Service Bay was designed to address minor servicings which did not need extensive work. To put a human face to the brand, we created Tyre Man. He spoke about the various aspects of tyre upkeep in his different avatars. These were made relatable to the customer and delivered in a friendly, approachable manner. 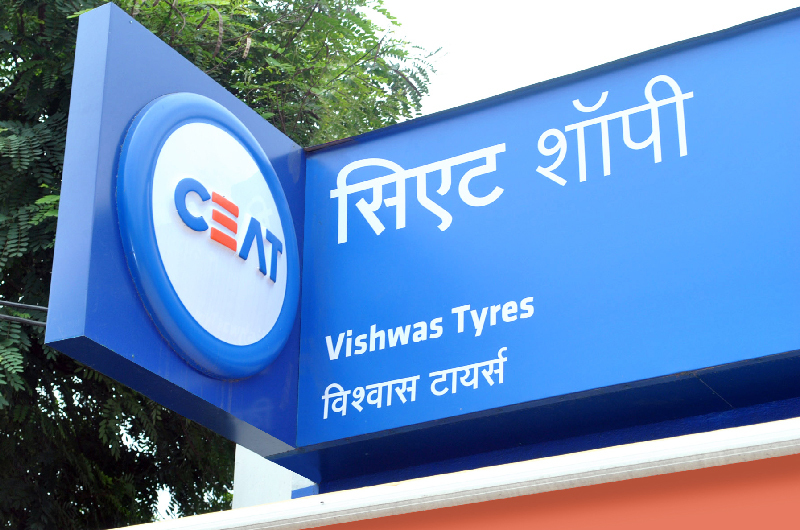 CEAT has since rolled out various stores under these formats, which have reported improved brand visibility.